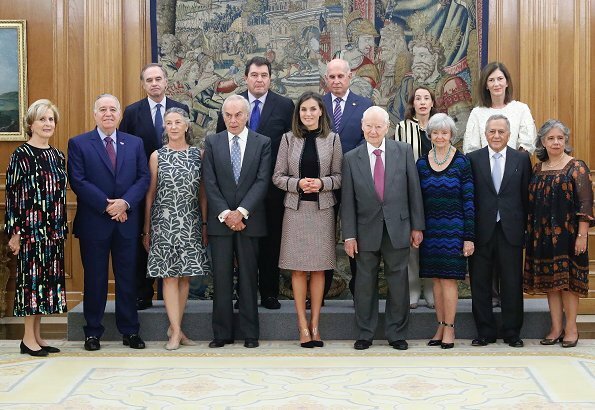 On September 26, 2018, Queen Letizia of Spain received Prado Museum's art commission members at Zarzuela Palace in Madrid. Prado Museum's art commission analyzes the financial aid gained from donations made, which is needed for purchases, exhibitions, researches and scholarships of the museum. Prado Museum was opened in 1819. Since 1819, Prado Museum performs the mission of collecting and exhibiting works of art and collections which are closely related to Spanish history. 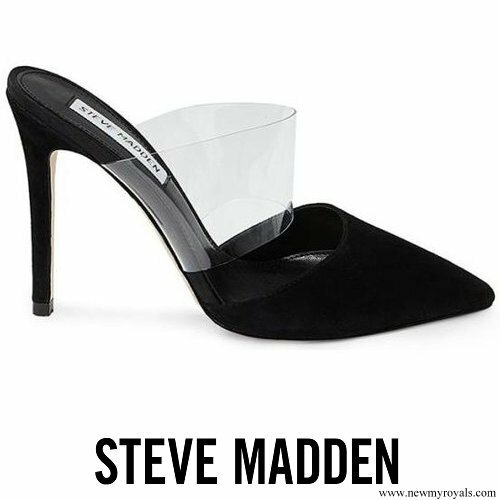 Love, love the shoes! They are one of my favorites. Suit and hair are just ok for me, not awful nor great. Lovely smart look. I like her style today . Probably is a sleeveless sweater, 15C degrees in the morning, 30C in the afternoon, fall in Spain is difficult, nobody knows how to dress. Very nice and smart look. Cute interaction between her and new grandpa Mr. Zurita. 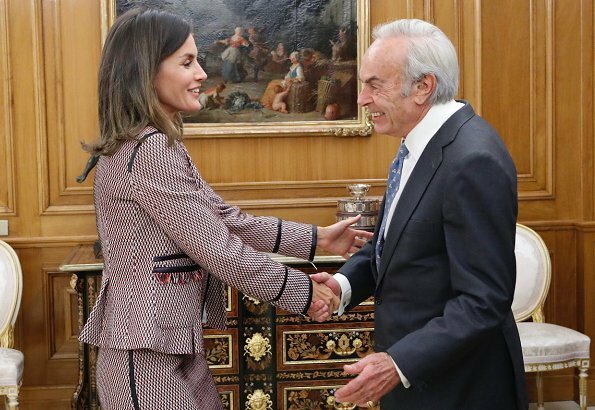 No grandpa, UNCLE...he's the husband of Juan Carlos' sister.. The Zuritas welcomed a new grandson recently. Therefore he is a new grandpa. Ah!! SORRY!! Ok, that's right, María has had a baby, right. 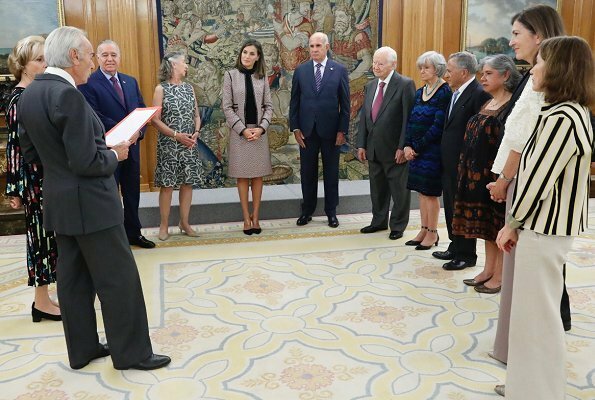 La Reina va correcta, con un traje clásico y profesional. Muy bien.